Within a Guide unit the Guides work together in small groups known as patrols. Guides choose a lot of their activities resources known as Go For It’s with lots of topics to choose from including Parties, Experiment, Showtime, Chocolate and Camp Out. Many Guide units go away for camps and holidays and sometimes even overseas. 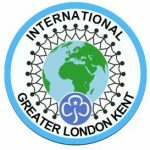 In Guides you have the chance to make lots of new friends from other schools, work with your patrol to choose the activities that you do, learn new skills and to carry our service and community projects.